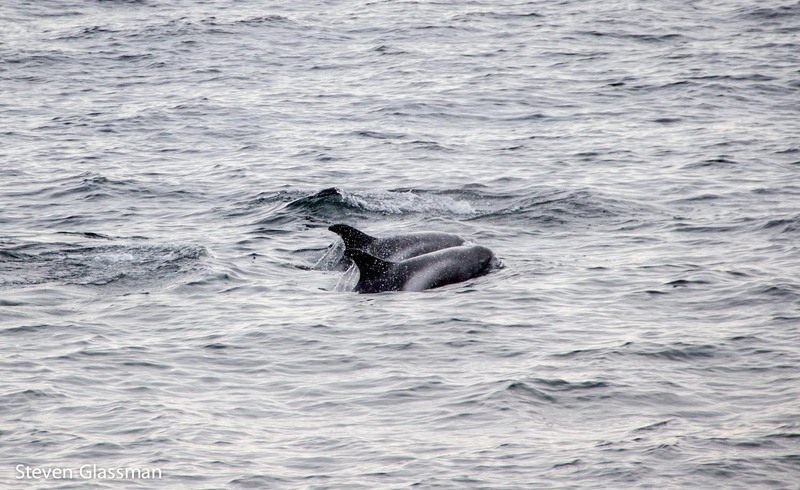 Nordic Adventure, Part 8: Puffins and Porpoise and Whales, Oh My! – Sunshine. Whimsy. Tacos. 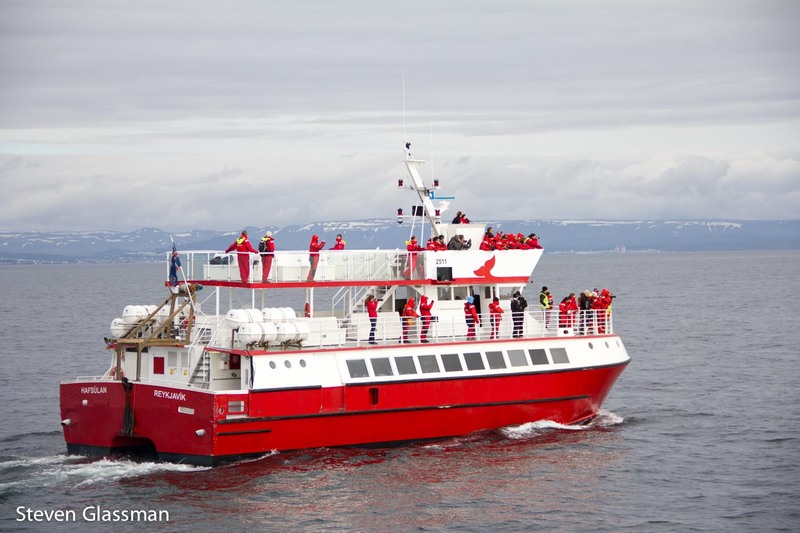 While I was in Reykjavik, I took two separate boat trips. 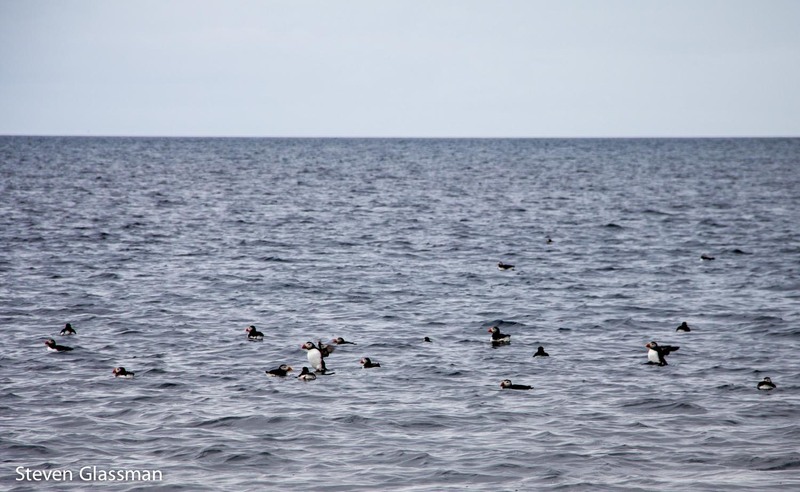 The first was a one hour puffin-watching cruise. I mentioned puffins in the previous post, because I ate some smoked puffin meat. 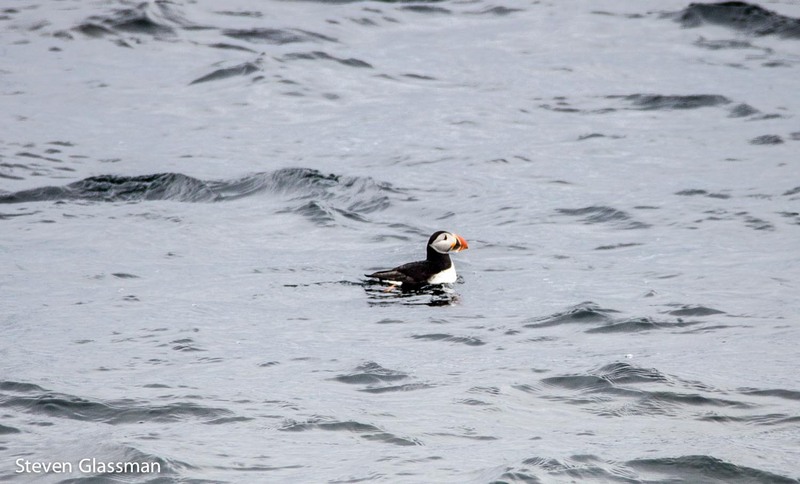 I mentioned that the puffin meat tasted kind of fishy- I assume it’s because they spend a lot of their life hanging out in the water, just bobbing on the currents. There were hundreds of them around. For scale, remember this: The body of a puffin is roughly the size of a twelve ounce can of Coke. 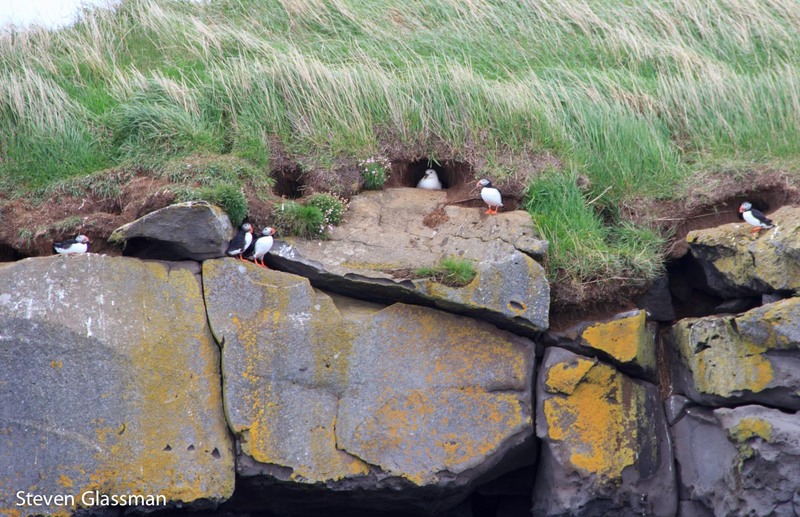 The puffins nest on small islands with no human inhabitants, all around the coastline of Iceland. I actually wanted to go sky-fishing, which is how they’re caught, but that’s not really something tourists can easily do. Sky-fishing involves going to one of the islands and snatching them out of the air with a giant net on a long pole. I don’t want to hurt them, I just think it would be kind of fun to catch birds with a giant butterfly net and then let them go. 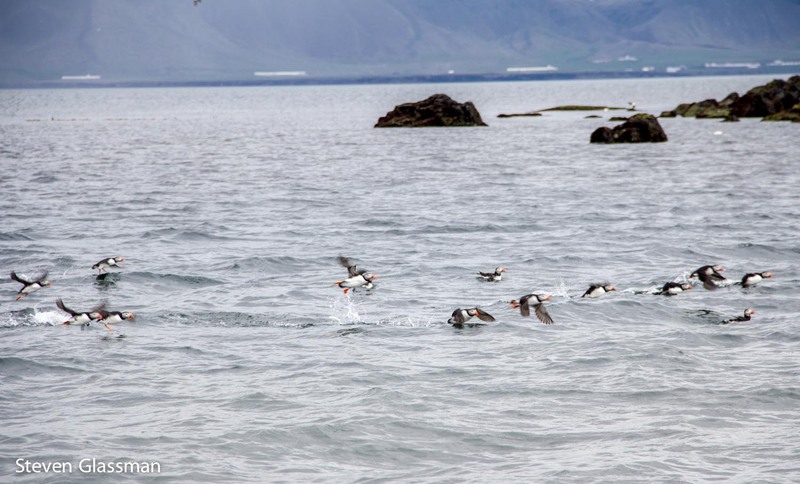 If you want to see sky-fishing in action, go to Youtube and search for “Gordon Ramsay Puffin.” Be warned, however- he kills, cooks, and eats the one he catches. One of the things I learned about puffins is this adorable factoid: Baby puffins are called pufflings. Sometimes the pufflings get confused and wind up in the streets of Reykjavik. When this happens, people generally take them back to the shore and once there’s water, the birds figure out easily where to go. The second boat ride I took was a three hour whale-watching cruise. There are several competing companies that do this, but I suspect they talk to each other, because my blue vessel was shadowed for the entire duration of the cruise by this red vessel. 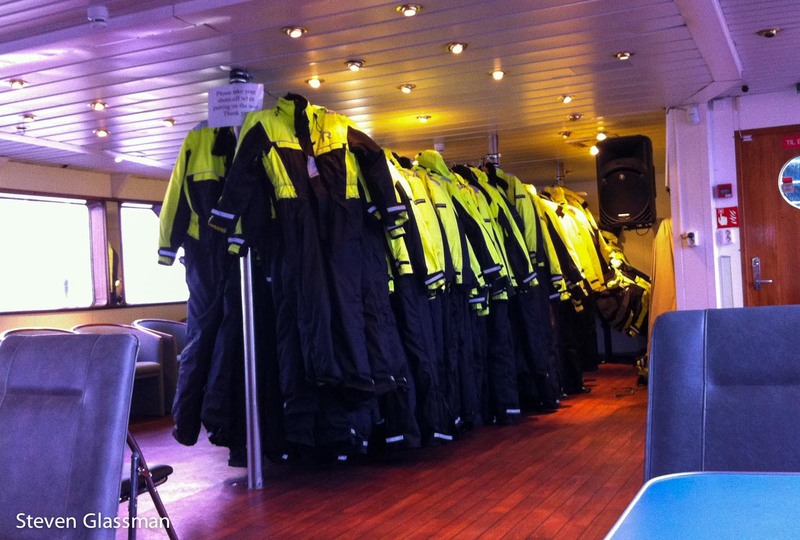 You may have noticed that many of the people in that picture are wearing coats that match the boat- that’s because they provide overalls you can wear if it’s too cold. I didn’t bother with the coveralls because I was already pretty well layered up, but it was tempting because they’re really fashionable. I really didn’t think we’d see anything, but I was happy to be proven wrong. 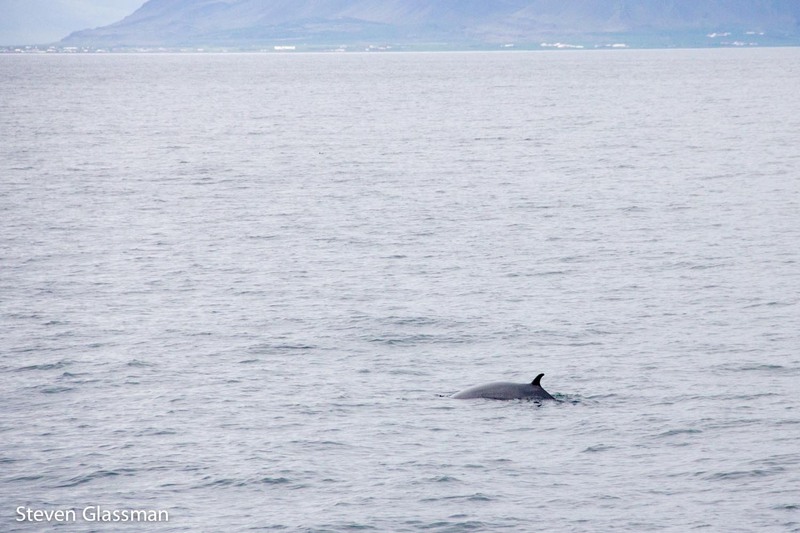 Our spotter called one type of dolphin that I didn’t actually see, and at one point, this minke whale. The whale was pretty shy and didn’t hang out for more than a few minutes. 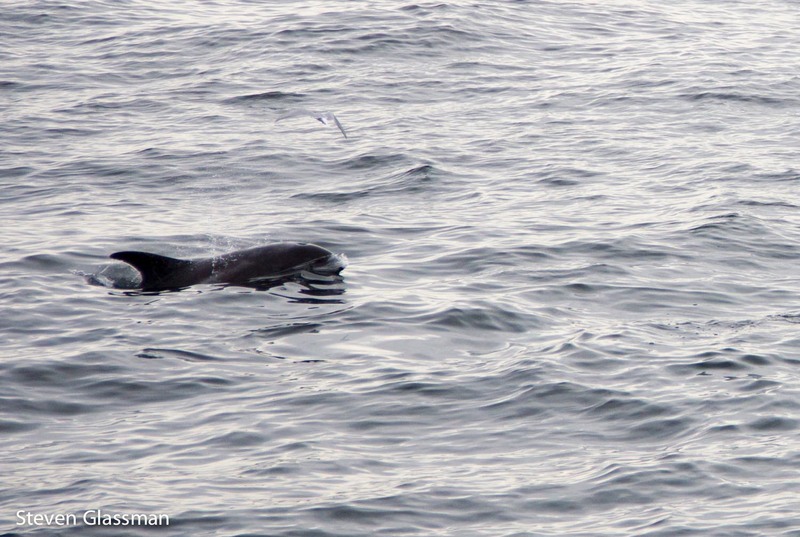 The harbor porpoises, on the other hand, were not shy at all. They were curious and playful. 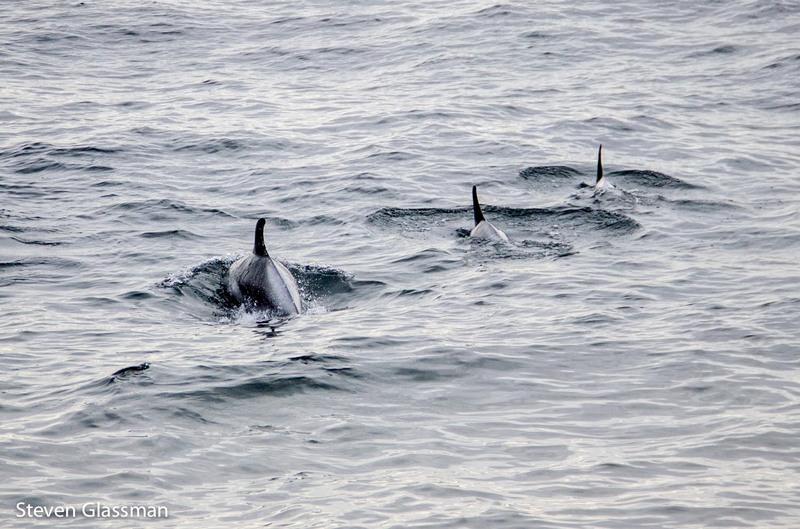 There was a pod of about seven or eight of them keeping time with our boat for a good portion of the cruise. Still, without the spotter, I’m not entirely certain I would have seen anything. The reflection on the water makes it difficult to spot anything unless you’re at a pretty decent elevation, or unless they hang out on the surface a lot, like these little guys. Have you ever been whale-watching? Did you spot anything? 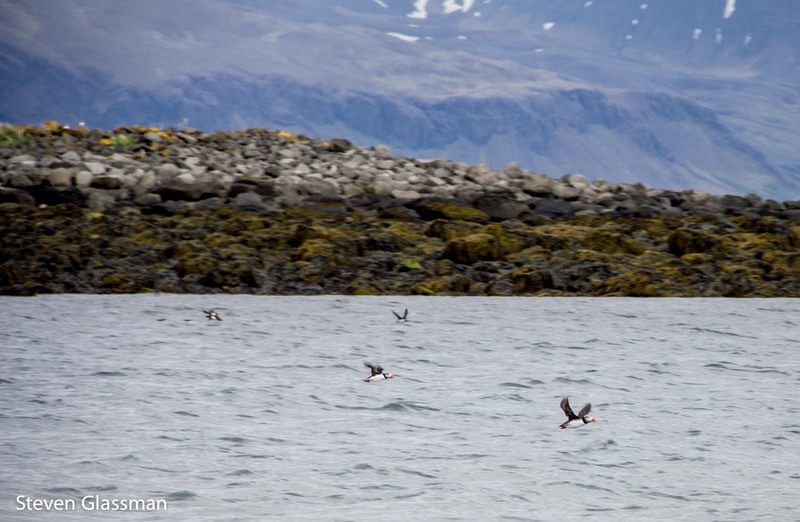 I was so hoping to catch some puffins in Ireland, but wow is Iceland where it’s at – so many!! So cute! I’m jealous of your adventure. 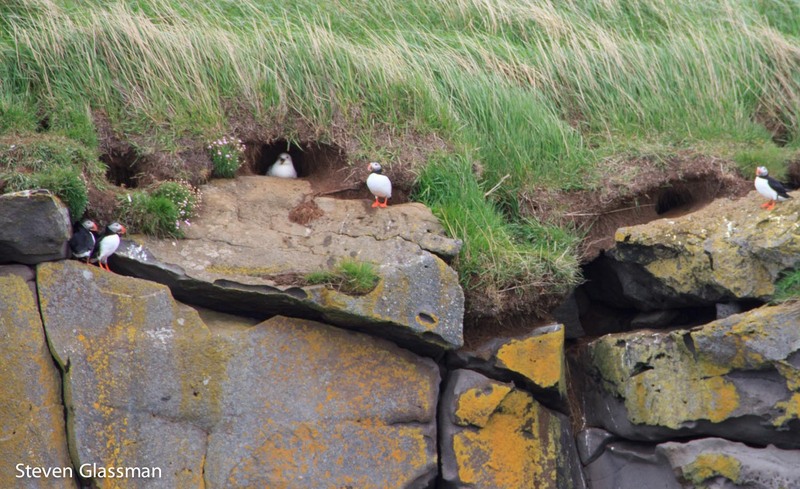 There are loads of puffins at the Farne Islands in Northumberland, and also seals. I haven’t been there since I was little and now I really want to go again! Iceland from water! whoohoo! Hopefully that will be me next year!